Phantom Vat Removal Tool & Drip Tray - Vision Equipment Inc.
Safely handling vats filled with hot solution is a major concern for any optical lab. At Phantom Research Laboratories, we have devised a perfect solution to this potential hazard, the Vat Removal Tool and Drip Tray. The Vat Removal Tool allows you to quickly and safely remove the vat from the dye heating system without the worry of the vat slipping off the tool, or heat transfer fluid dripping on the floor and counters. 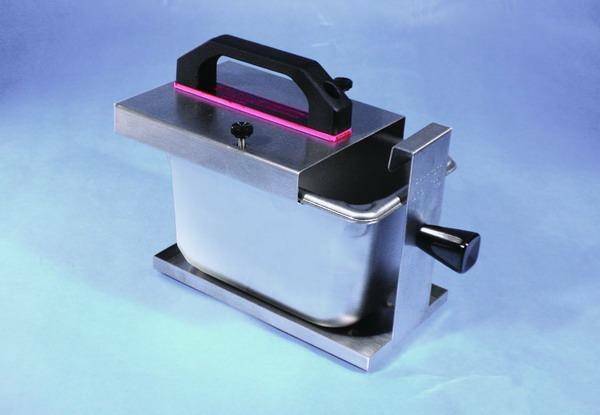 Once you have tried the Vat Removal Tool w/Drip Tray, you will wonder how you ever got along without it. shipping weight = 1 lb. (0.45kg)2. 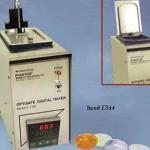 Drip Tray (Item # T505) is packaged in a 8 x 6 x 4 in. (20.32 x 15.24 x 10.16 cm) craft box.